No Turn On Red is a solid funk band that delivers thick killer grooves with a unique injection of New Orleans brass band flare. 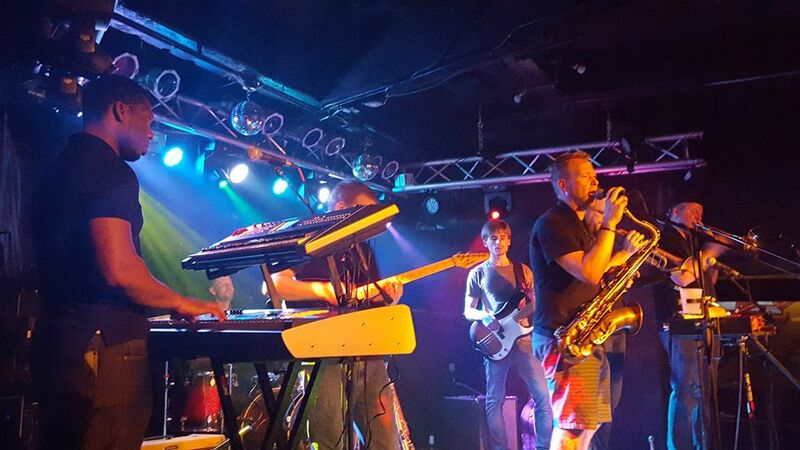 The personnel consist of heavy hitter, professional musicians that have all cut their teeth moving up the ranks of the local Chicago music scene. The musical line up of straight up old school funk, danceable grooves, and tasty covers will keep you entertained and coming back for more. The bandmates all share deep Influences that include the Meters, Rebirth Brass Band, James Brown, Jimmy Hendrix, The Dirty Dozen, Lettuce, Tower of Power, Galactic, and the great Stevie Wonder. Since its inception, No Turn On Red has been on a mission to produce a high energy show that has a great mix of different styles blending the old school with the new kool.